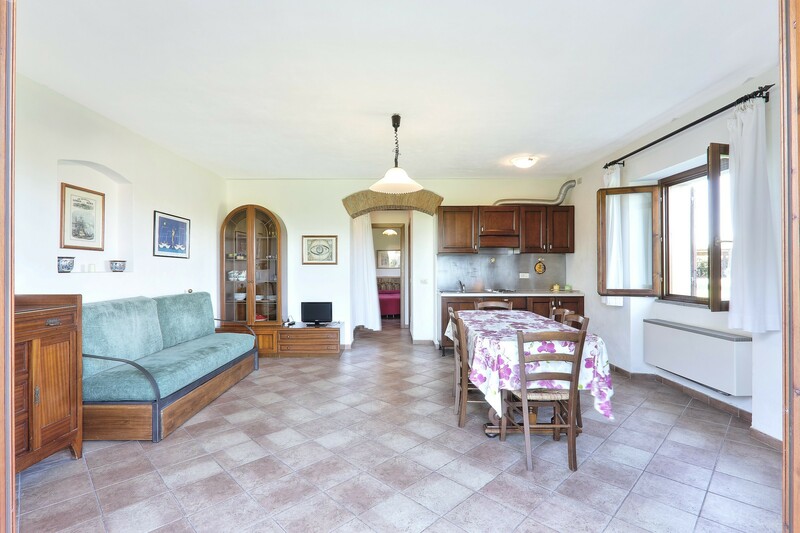 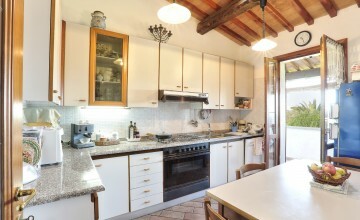 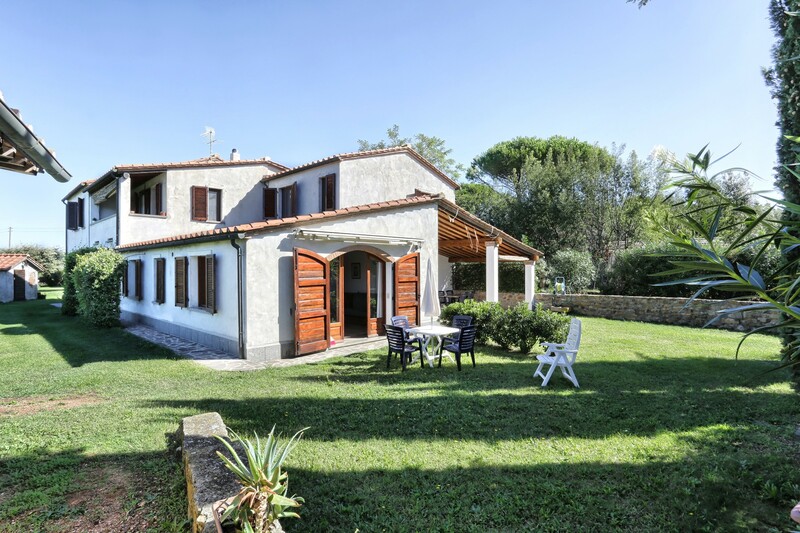 JKMMT-385 Bolgheri – property with vineyard and olive groves near the sea. 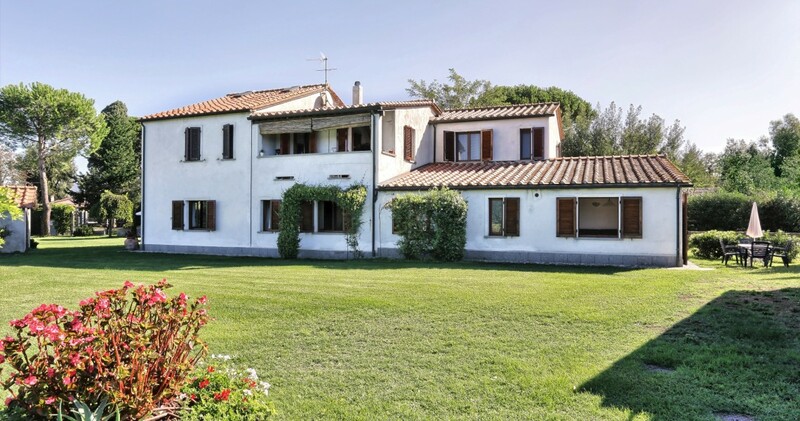 The house, which measures 425 m2 (4574 ft2) 20 is located in the countryside near the sea. 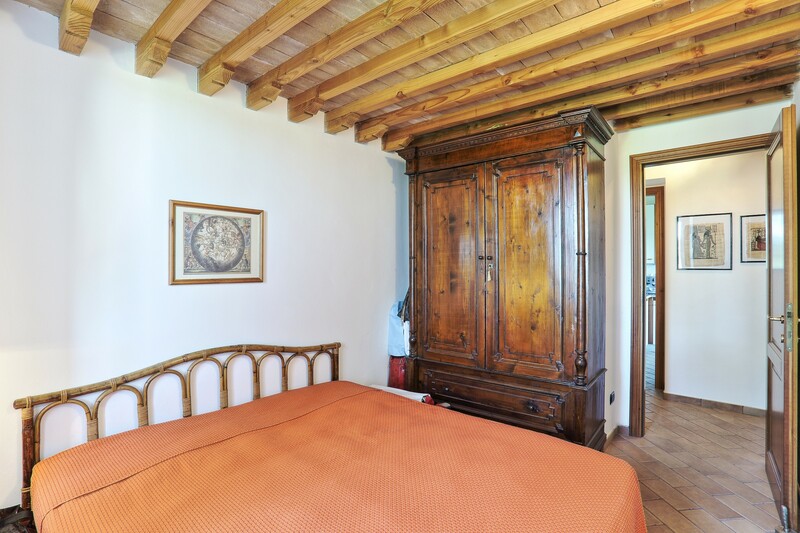 It is in good conditions after restoration made in year 2000, during which five independent apartments were created – three on the ground floor and two on the first floor, plus stores, technical rooms and cellar. 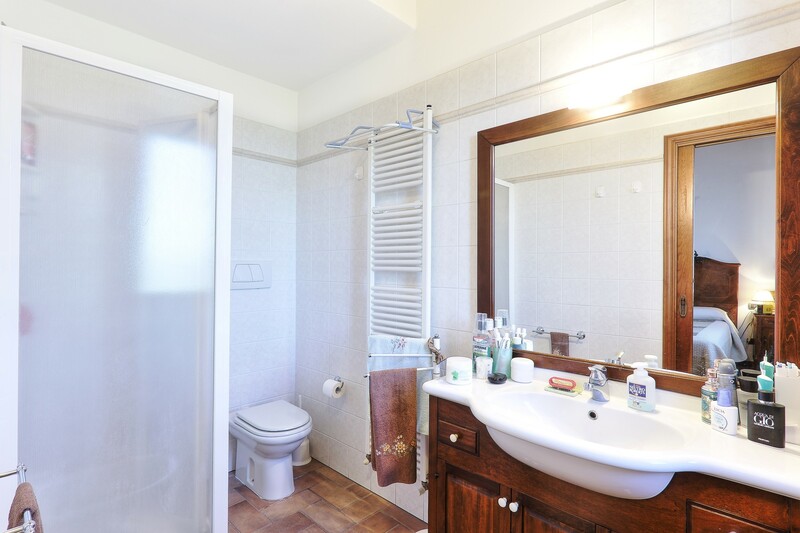 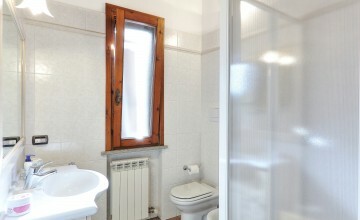 The ground floor apartments feature sitting room with kitchenette, bedroom and bathroom. 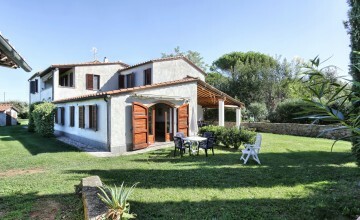 The apartments have independent entrances from the garden. 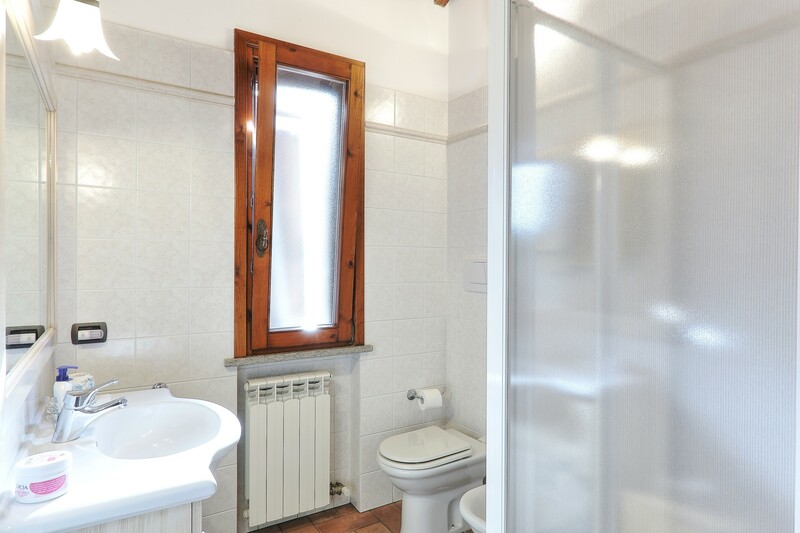 This level also has a portico and separate bathroom. 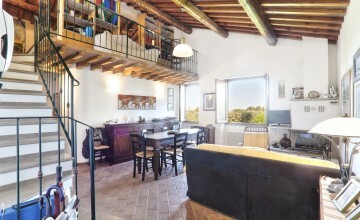 First floor apartments are different. 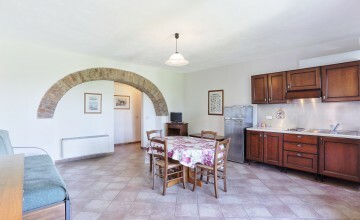 The smaller one is divided into a sitting room, kitchen with terrace, bedroom, bathroom, laundry and technical room. 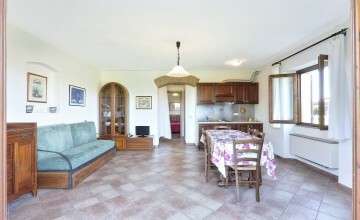 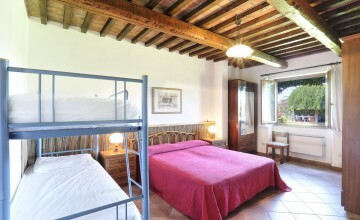 The bigger apartment has a sitting room, store, kitchen with terrace, bedroom with bathroom, second bedroom, bathroom. 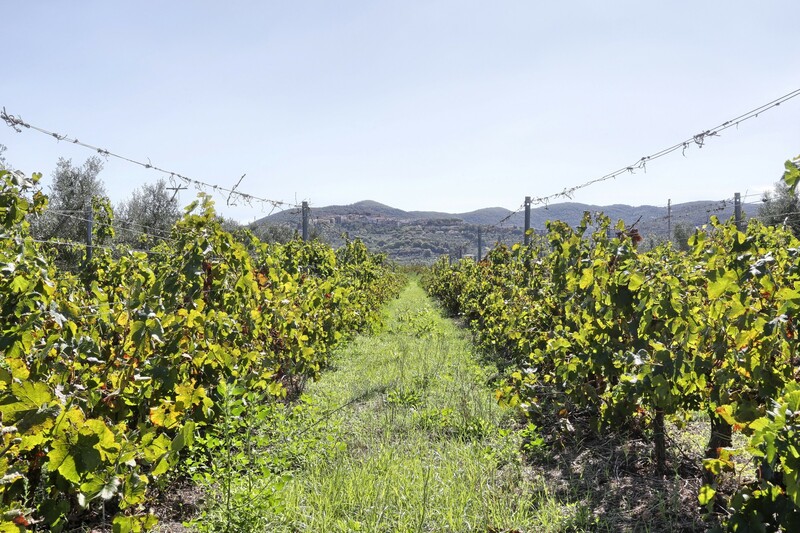 The property includes 3.8 ha (9.3 acres) of land of which 1.3 ha (3,21 acres) Bolgheri DOC vineyards planted in year 2000 – 40% Merlot, 40% Cabernet and 20% Syrah. 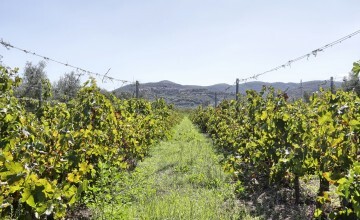 It is possible to plant further 2000 (21,500 ft2) of Vermentino vineyards. 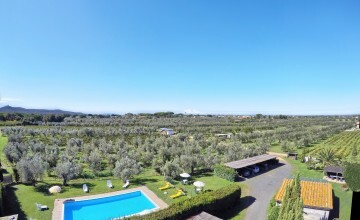 There is also arable land and an olive grove counting 500 trees A metal structure used as store is located among the fields. 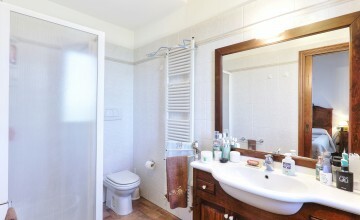 It is covered solar panels. 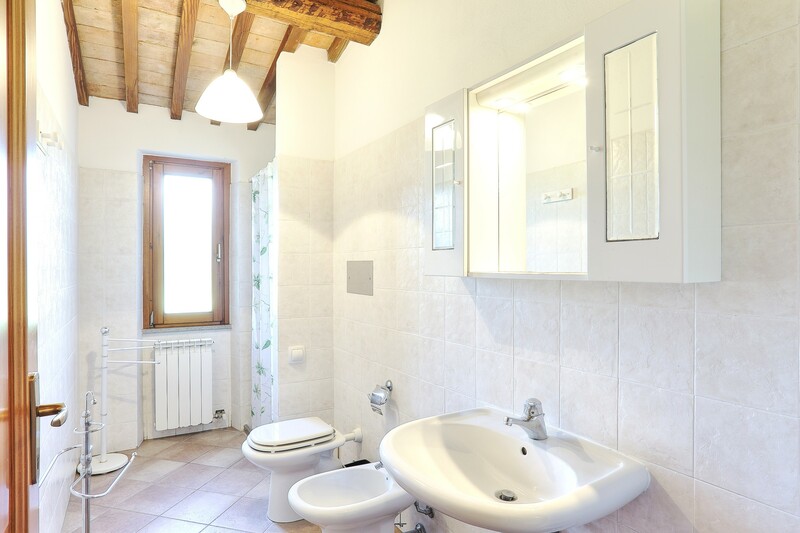 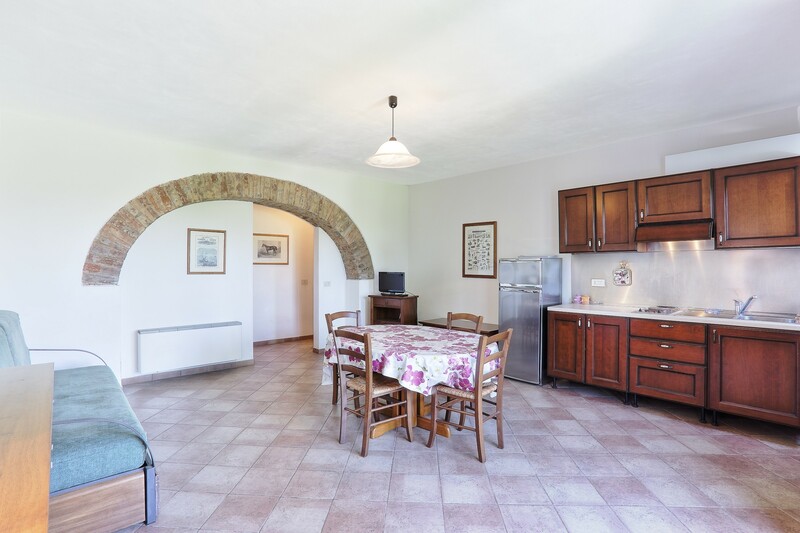 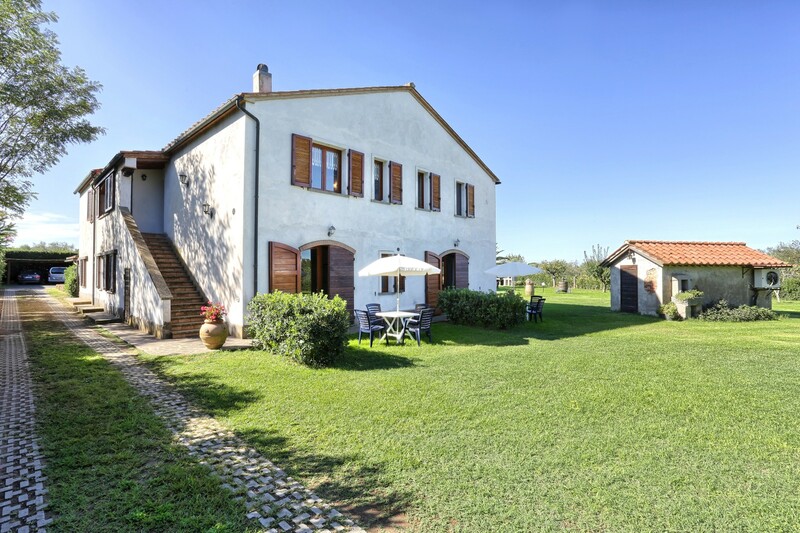 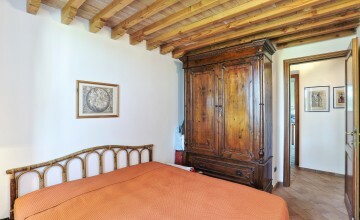 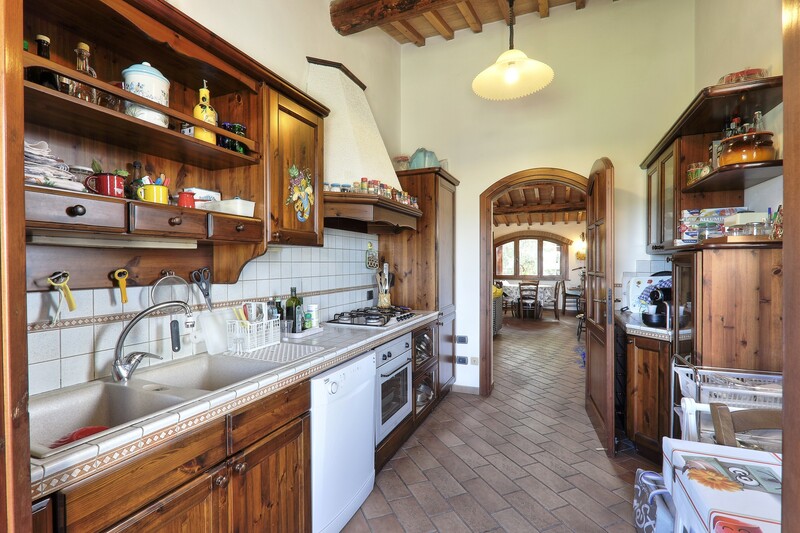 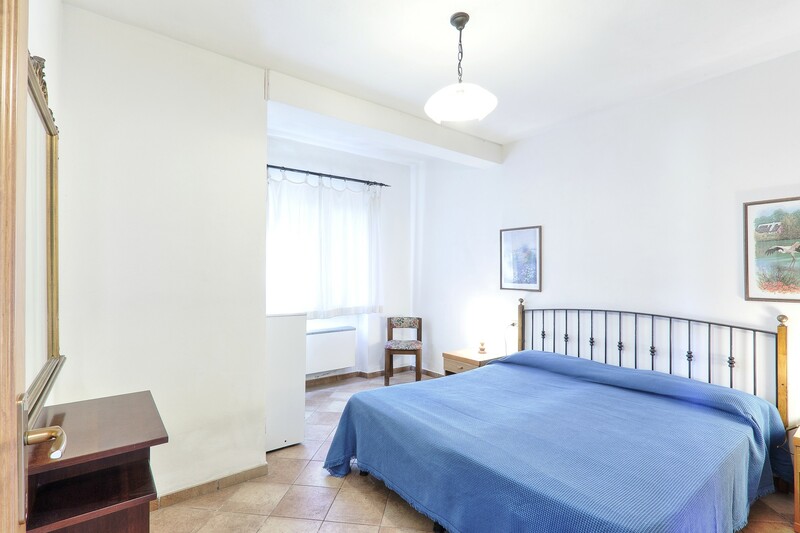 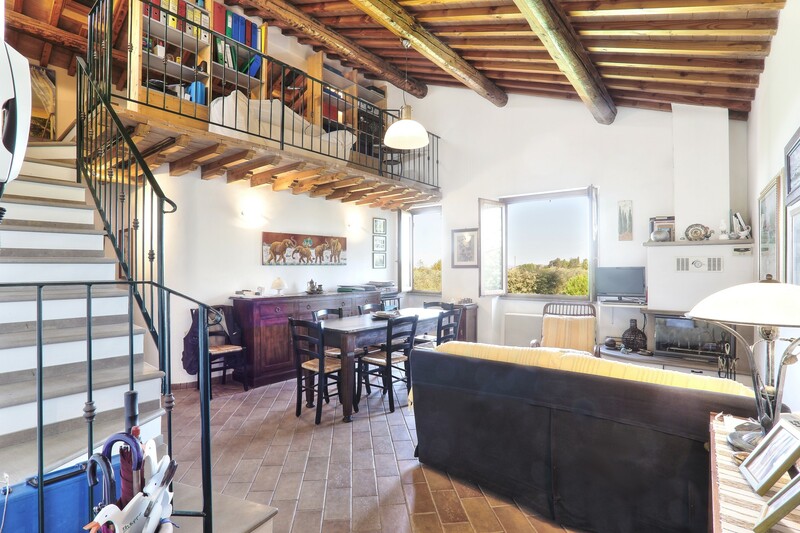 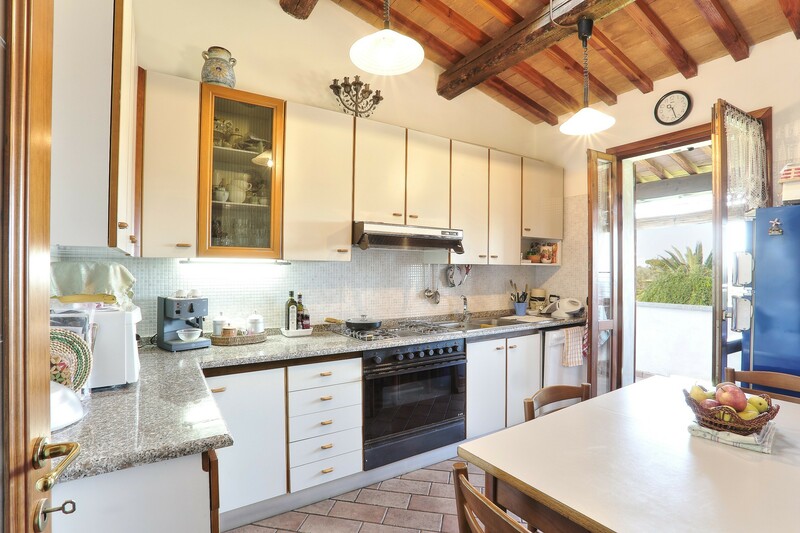 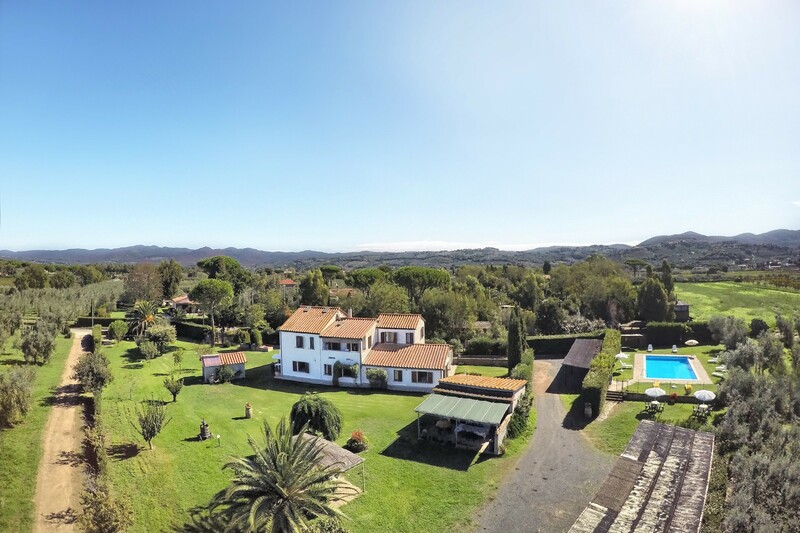 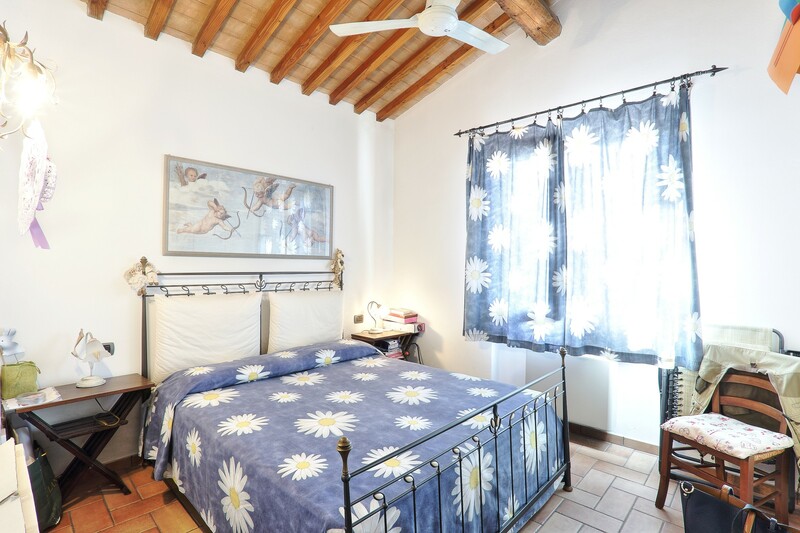 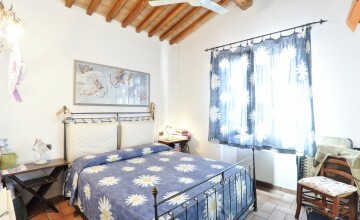 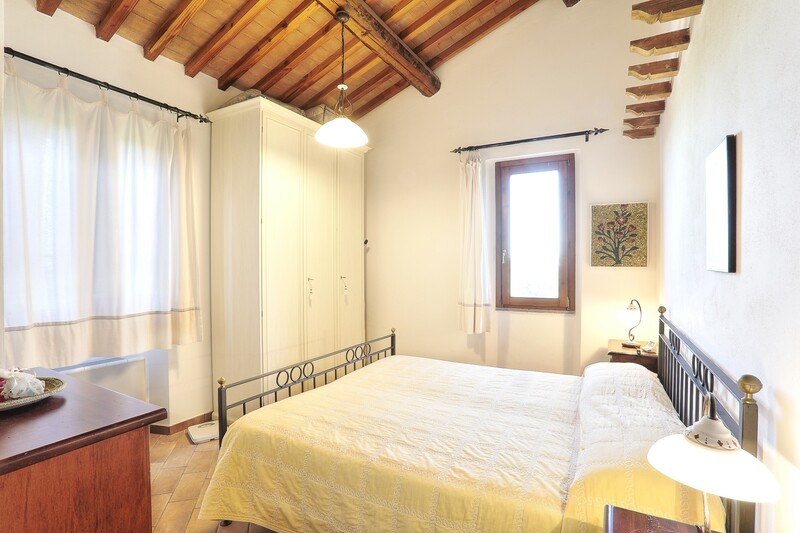 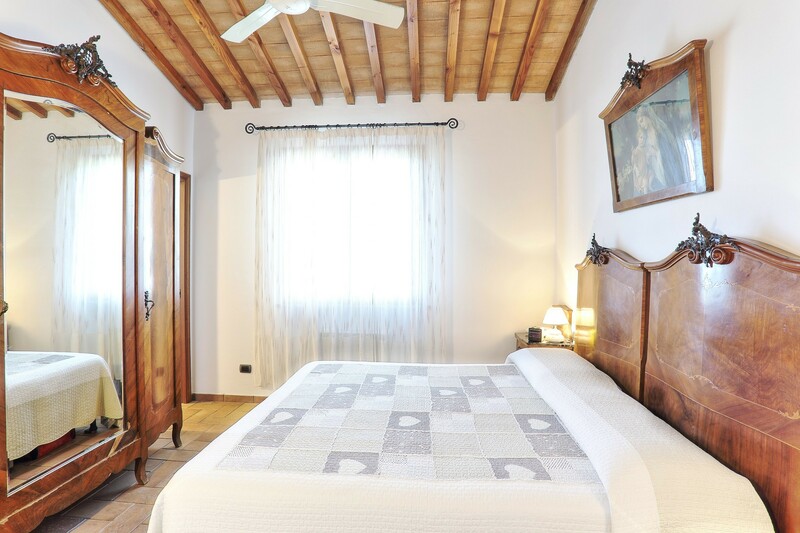 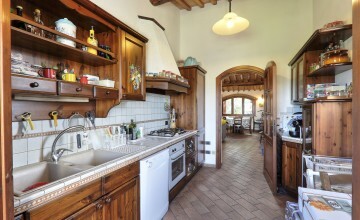 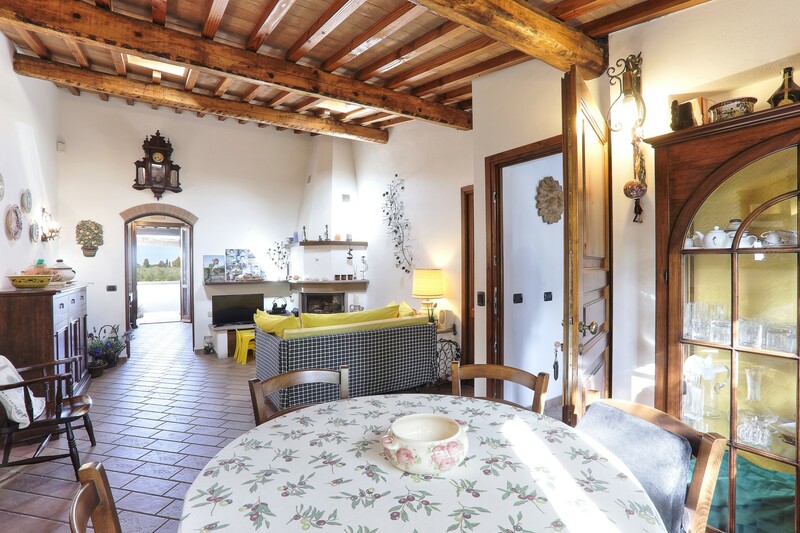 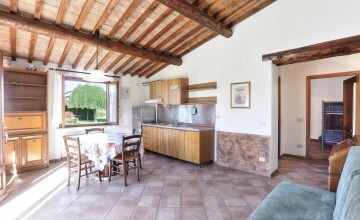 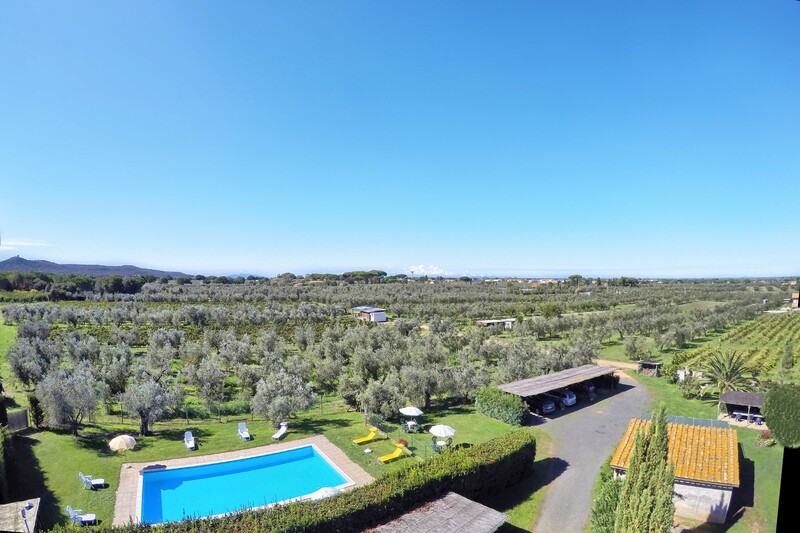 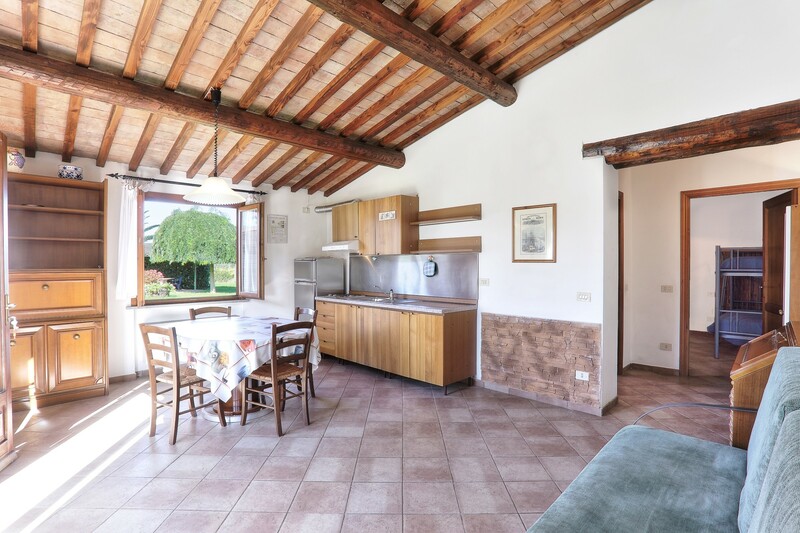 It is an income producing property – rental of self-catering apartments, production of Bolgheri wine and olive oil, located in the area where some of the best wines are produced and close the Tuscan coast with lively beaches and famous restaurants. 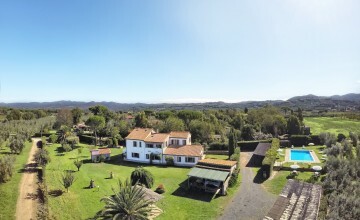 Distances: Bolgheri – 12 km, Marina di Castagneto Carducci – 6 km, Donoratico with all services – 3 km, Livorno – Grosseto highway -13 km, San Vincenzo Marina– 13 km, Pisa – 77 km.